Being a Mummy to 5 boys and a childminder I am always on the look out for new activities and things to do that I can gain access to easily. I especially love to find educational and craft related activities to keep my boys and mindees busy and entertained. 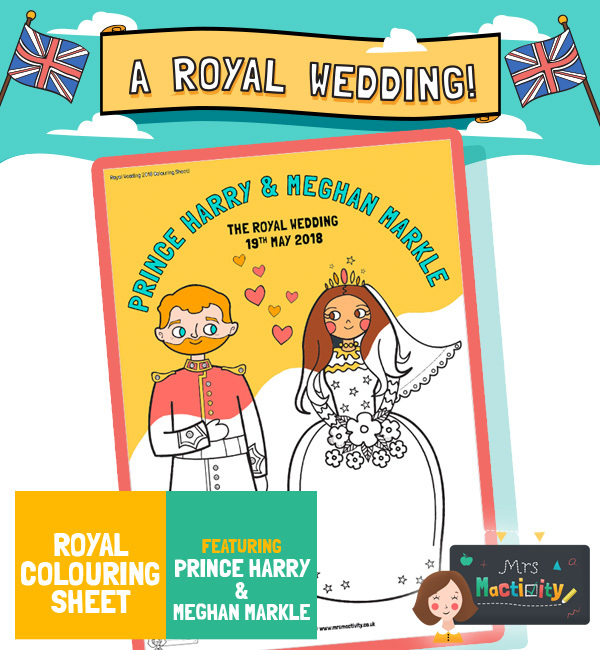 While searching for The Royal Wedding activities and printables, I came across MRS MACTIVITY and was asked to review their educational and printable activities I jumped at the chance. OMG! Perfect! Just what I was looking for! I mean look at how cute and unique these colouring pages are! Mrs Mactivity has definitely got my back covered with everything we need for a Royal wedding party! From colouring sheets and bunting to paper chains and masks! My boys and mindees had a fantastic time colouring them in. Using their imagination and encouraging conversations about the Royal Family, wedding traditions and the organising of a party! It definitely covers British Values as well as Understanding the world and Expressive Art and Design! 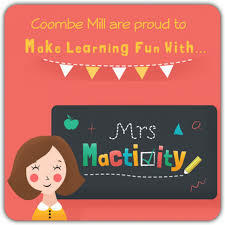 Mrs Mactivity make fun boutique teaching and learning resources suitable for both parents and teachers – Made by teachers, tested by kids. They specialise in truly unique resources that you won’t find anywhere else on the web. Mrs Mactivity’s mission is to change the world through inspiring and fun learning resources that really motivate children to learn. Mrs Mactivity believe that less is more, and you won’t need to spend hours trawling through their website to find what you need – they believe that people want quality resources over quantity. If we don’t have what you want, simply drop them a line over at hello@mrsmactivity.co.uk and they will do their best to make it for you! too many resources out there look the same. They believe in innovation and individuality – stand out from the crowd by supporting our work. Most of Mrs Mactivity’s resources are free, but as they don’t use advertising on our site. Therefore they charge a very modest fee of £9.97 per year (or in your currency) so you can access EVERYTHING. Also enable us to make more resources. Mrs Mactivity is suitable for children in the EYFS (0-5 years) and Primary school aged children (5-11 years). Covering all sorts of topics ranging from phonics and times tables, to awareness and celebration days to visual time tables suitable of children with SEN! You can sign up to Mrs Mactivity for FREE so if you are looking for some activities to do with the kids over to the website, I really rate it! *This is a sponsored post. I received a membership for Mrs Mactivity in return for a blog post. All opinions are my own.